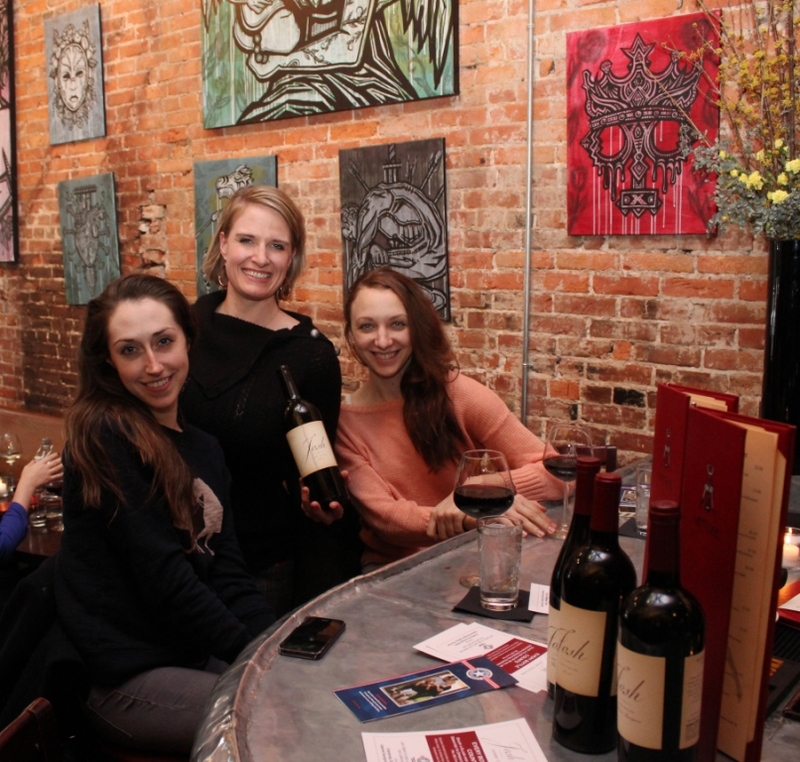 Anthony's Wine Blog | Blog | Philly Wine Week, Its time has come! 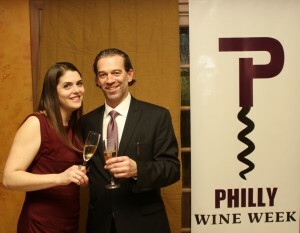 WineLog » Blogs » Anthony's Wine Blog » Philly Wine Week, Its time has come! I had an absolute blast following those two around Philly, sampling some interesting pours, tasting perfectly paired morsels and all the while digitizing our adventures for posterity. The kick-off event was “Bubbles & Barrels” featuring stunning sparklers from all over the world & a selection of the best wines from Pennsylvania. 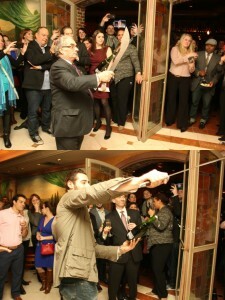 Guest saberers, George Perrier & Jason Malumet were on hand to behead the bubbly. 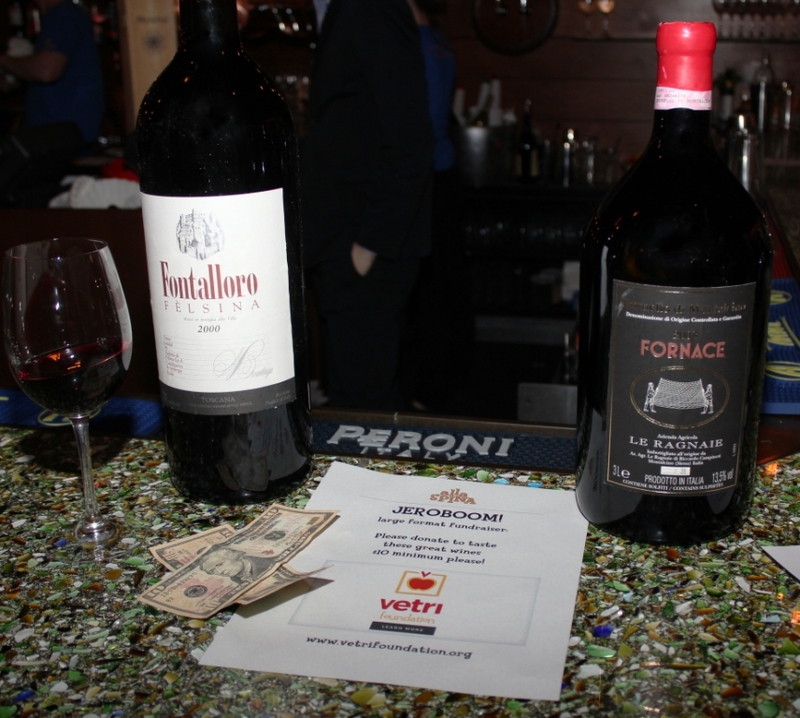 Charitable:Vintage Wine Bar with Josh Cellars for Operation Homefront, to help our troops and their families. Alla Spina & Jeroboom benefiting Eatiquette, a school lunch program promoting healthy foods. 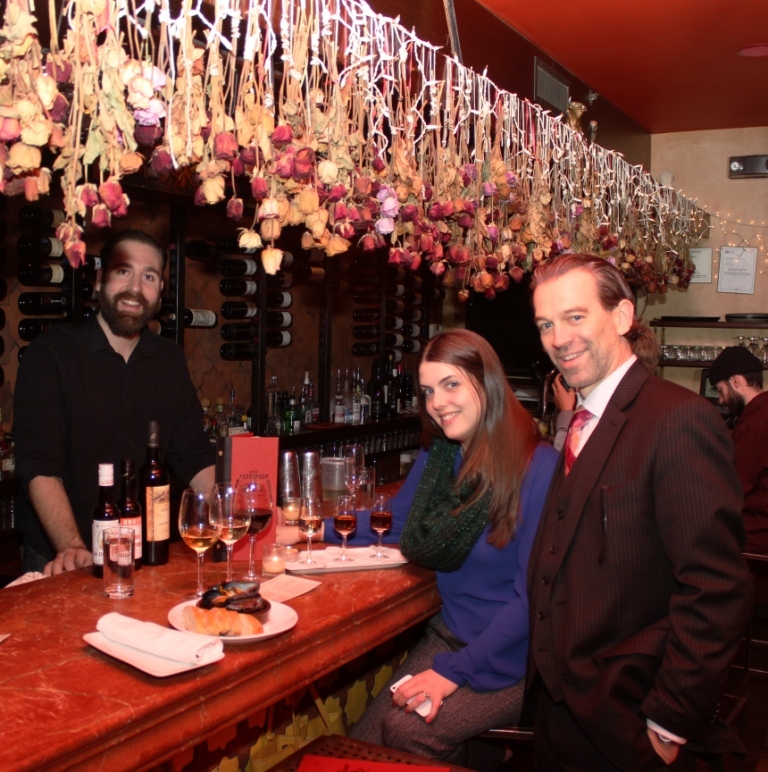 Dinners: Jamonera’s romantic little spot featured Tapas with different styles of Sherry, while Tashan countered with shades of Riesling & rich Indian fare. 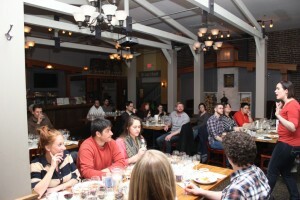 Professionals: Brauhaus Schmitz / Marnie Old: A very interesting wine & food pairing class. 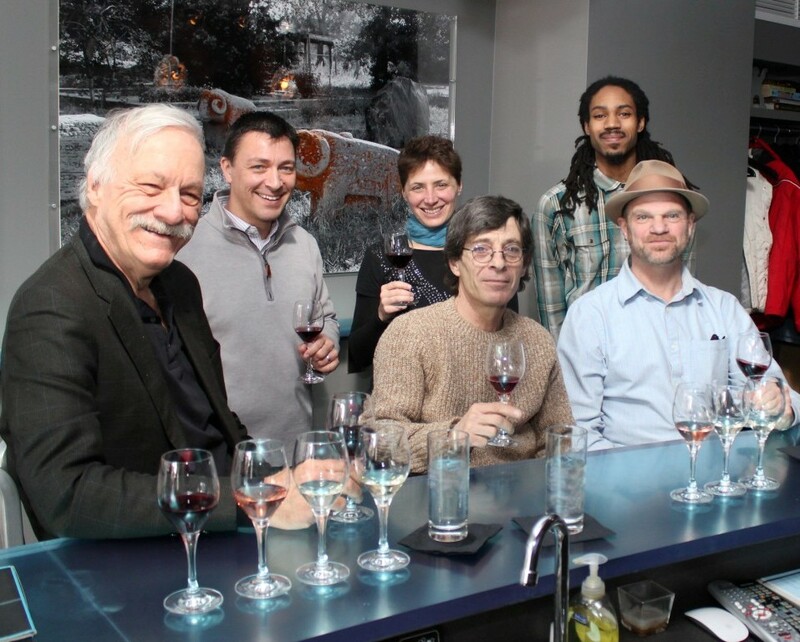 How individual ingredients can influence how a wine tastes & smells. Really a class every wine lover could benefit from. Laetitia Brut Cuvee NV California $15 Lemon, bread & apple notes, nice acidity, although the forward fruit deceives this sparklers dryness. Look at that price! 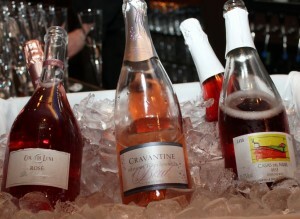 Fabrice Gasnier, Cravantine Rose NV Loire Valley, France $22 An awesome & unusual Cabernet Franc sparkler. Strawberry, raspberry, earth & spice. I wanted to drink this all night. 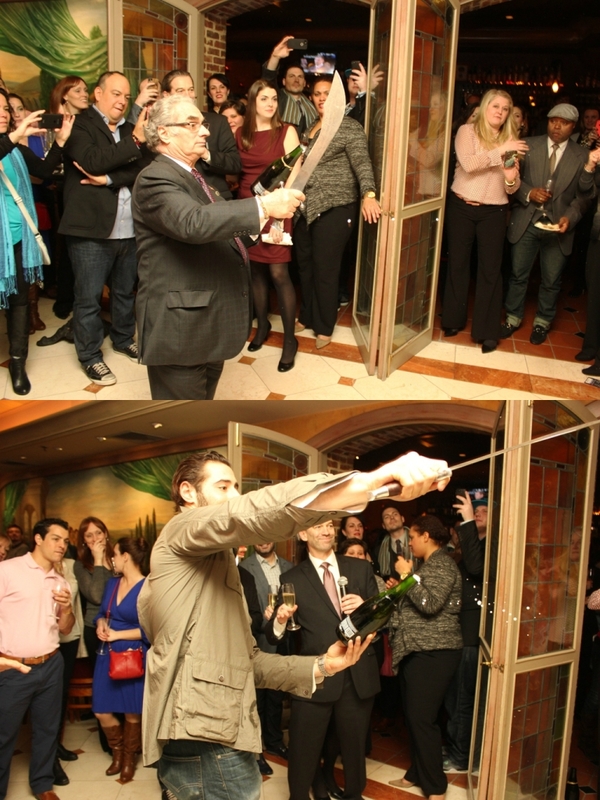 Who said excellent bubbles need to be pricey? Argiolas S’elegas, 2011 Sardinia $15 100% Nuragus Sharp lemon rind nose with honeysuckle balancing the bitterness. Creamy texture with vanilla on the finish, which is surprising given an all stainless steel fermentation. Neat stuff. Grace Winery Pinot Gris 2102 Glen Mills, Pa $22 Spicy, mineral, little grass, green apple, nice mouthwatering finish. Another surprise from the keystone state. Penn Woods Bancroft Merlot 2011 $25 Sweet vanilla nose, jammy fruit, little green pepper & complementary earthy tones. Easy tannins make this a drink now red. Josh Cellars Chardonnay 2012 California $15 Light bodied, lemon, lime, while the mouthwatering acidity makes it food friendly. Minimal oak lets the fruit shine. A nice value oriented Chard. 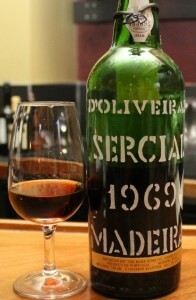 D’Oliveira Sercial Madeira 1969 $150 Awesome brilliant caramel color, clear as day, a beautiful nose of toffee, with java, vermouth, molasses, hazelnut & Bit O Honey vying for position. It has a massive finish. Stolpman Vineyards Ballard Canyon AVA Rose 2013 California $18 A beautiful Grenache/Sangiovese blend. Tart cherry, suede, raspberry, nice light slightly sharp strawberry finish. Hell of a rose. Paitin di Pasquero Elia Langhe 2010 Piedmont Italy $23 100% Nebbiolo Tart, stinky, tar, anise, beautiful expression of what the broader lands that produce Barolo & Barbaresco can produce. Grey Stack El Jefe, Greywacke Vineyard, Russian River Grenache 2010 $43 A real doozy, bubblegum, bacon, in fact tons of meat & clean crushed stone, combine to balance the tart cherry. 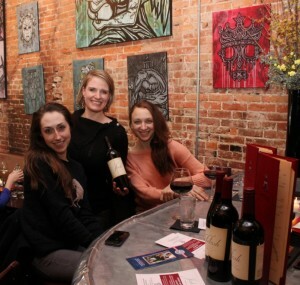 Moderate tannins allow for immediate or later drinking. La Ragnaie Fornace Brunello di Montalcino 2008 $120/750 Lighter in weight, more Pinot than Cab, earth, dried cherry, & a pleasant earthy stink make this single vineyard Tuscan a real treat. From Jeroboam. 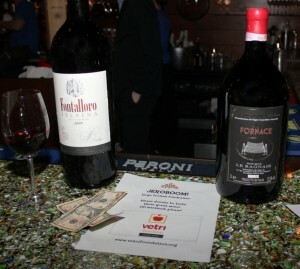 Felsina Fontalloro 2000 $51 100% Sangiovese from a single vineyard that straddles two different Chianti sub-appellations. Delicate on the nose but has a Nobile di Montepulciano elegance in the mouth. Earth, dried cherry, prunes, acidity lingers with the easy tannins. From Jeroboam. Fratelli Branca Fernet Branca Milan, Italy $27 This is SERIOUS stuff, makes Jagermeister look like vitamin water. Halls mentho-lyptus, caramel, azalea, heat but no alcohol. A very unique aperitif/digestif. 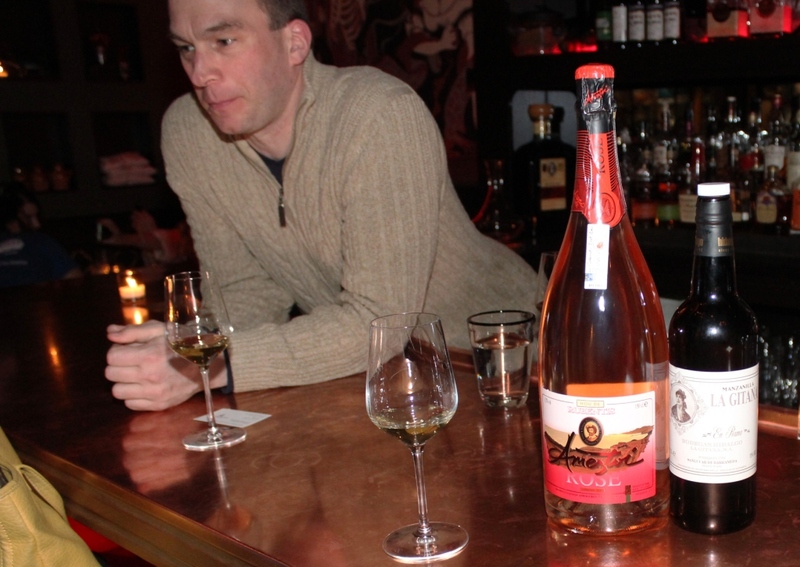 Bodega Hidalgo La Gitana, Manzanilla Sherry NV $17/500ml Sanlucar, Spain Dry in style, a whiff of Bay breeze is quickly replaced by banana & almond notes, a pleasant funkiness lingers on the finish. Textbook example of Manzinilla. Bodegas La Cigarrera Manzanilla Sherry NV Sanlucar, Spain $12/375ml Petrol, orange, walnuts, long funky slightly briny finish. Dios Baco Amontillado $23 Caramel, funky, vanilla, spice, toffee & almond butter. Nice acidity cuts thru all the intense flavor. Gutierrez Colosia, Sangre y Trabajadero Oloroso $20/375ml Blood orange, orange rind, nut paste, sea salt, full bodied with a long finish. Very tasty. You definitely mentioned some of my fave wines in there… that Laetitiia Brut is just excellent – especially for the price. and, I’m thrilled you liked the S’elegas! 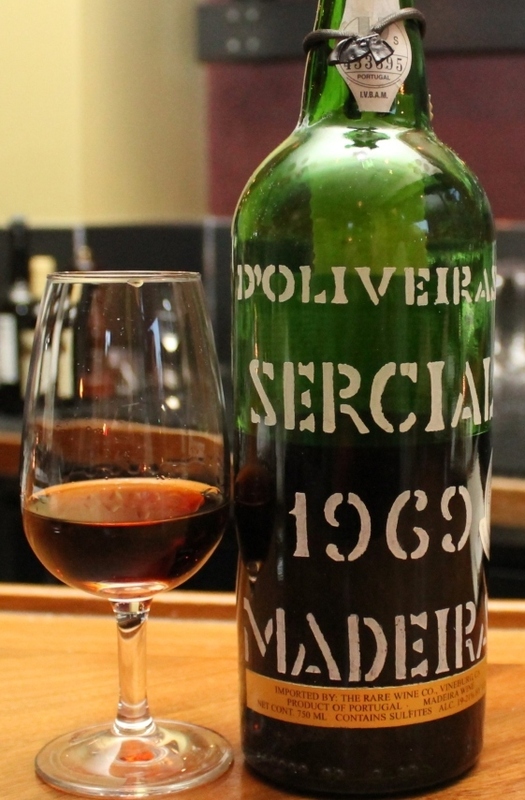 I wish I had been able to make some of the Sherry events. Next year! Next year will be even more fun!